Putting your existing work on GitHub Enterprise can let you share and collaborate in lots of great ways. Tip: If you're most comfortable with a point-and-click user interface, try adding your project with GitHub Desktop. For more information, see "Adding a repository from your local computer to GitHub Desktop" in the GitHub Desktop Help. 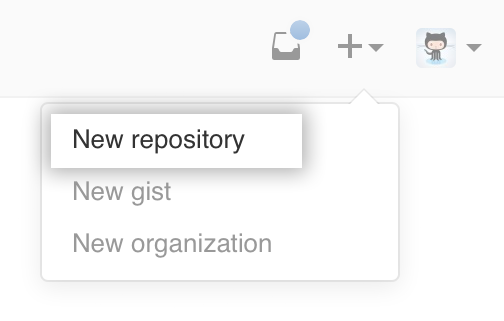 Create a new repository on your GitHub Enterprise instance. To avoid errors, do not initialize the new repository with README, license, or gitignore files. You can add these files after your project has been pushed to GitHub Enterprise. At the top of your GitHub Enterprise repository's Quick Setup page, click to copy the remote repository URL.